MegaCity Promotions is an Ottawa based company specializing in corporate wear, sports apparel and promotional items. We are dedicated to building strong relationships with our customers. Since 1996, the company has offered its customers quality solutions to their corporate clothing, team wear and promotional needs. We are committed to providing superior quality finished products and unmatched customer service no matter how large or small the order. 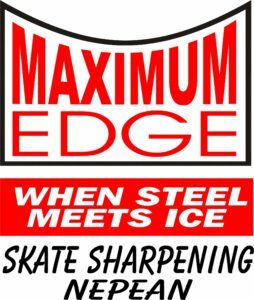 MAXIMUM EDGE offers customers a superior standard in skate blade maintenance. The Maximum Edge sharpening system incorporates our profiling and patented finish process, which increases the number one factor in skating – skater control. The system provides an improved centre of gravity, resulting in greater maneuverability and increased speed. Blade profile and a square radius should work with the skater’s ability instead of creating body compensation and added physical stress.